A1. Carol Kim - "Sai Gon"
A2. Son Ca - "Khi Tinh Yeu Den"
A3. Van Son - "Co Tay Den"
A4. Elvis Phuong - "Loan Mat Nhung"
B1. Thanh Tuyen - "Con Gai Cua Me"
B2. Thanh Thuy - "Trang Mo Ben Suoi"
B3. Phuong Dung - "Khuc Hat An Tinh"
B4. Thanh Lan - "Sang Rung"
C1. Son Ca - "Thon Trang Mo Hoi Trang Tron"
C2. Tuy Phuong - "Xin Le Cuoi Em"
C3. Champagne - "Funky Do"
C4. Hung Cuong & Mai Le Huyen - "Tai Anh Hay Tai Em"
C5. Connie Kim - "Tup Leu Ly Tuong"
D1. Truong Hai - "Duong Len Non"
D2. Mai Le Huyen - "Nho Minh Anh Thoi"
D3. Le Thu - "Mung Nang Xuan Ve"
D4. Phuong Dung - "Nhung Doi Hoa Sim"
D5. 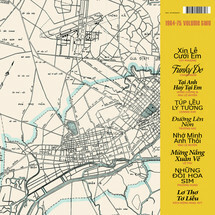 Kich Dong Nhac AVT - "Lo Tho To Lieu"
Saigon Supersound Continues… to present more interesting tunes of a musical era that has long been obscured. 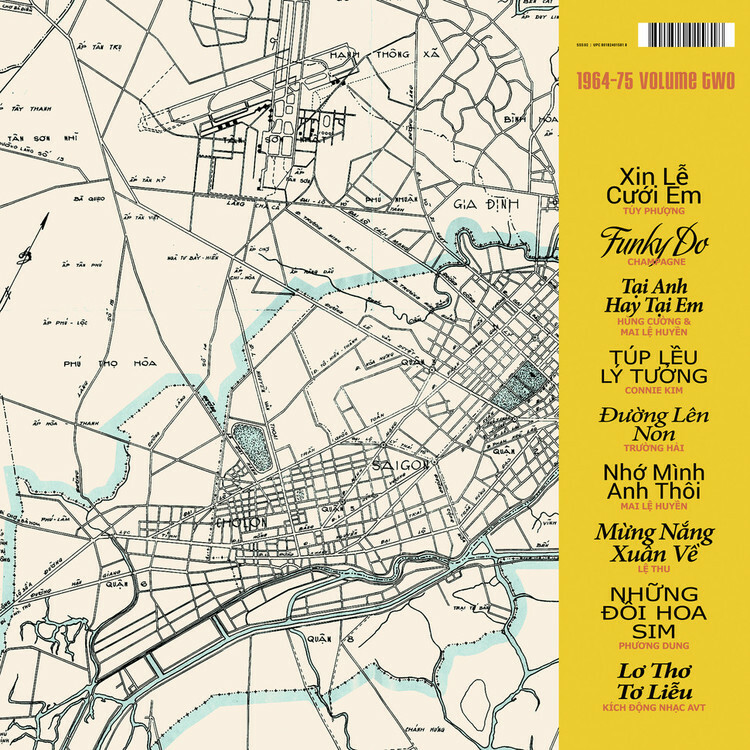 With the well-received Volume 1, we are very delighted to dig deeper and share with you the beautiful music of a short but significant period in Vietnam‘s history.